This past week Barrett, Matt Sigmeund and Don Piper made a trip up to Davis Lake in search of cascade lake large mouth bass. Fishing was decent but things should heat up in the coming weeks. Early morning was best, as the sun and wind picked up the fishing slowed. 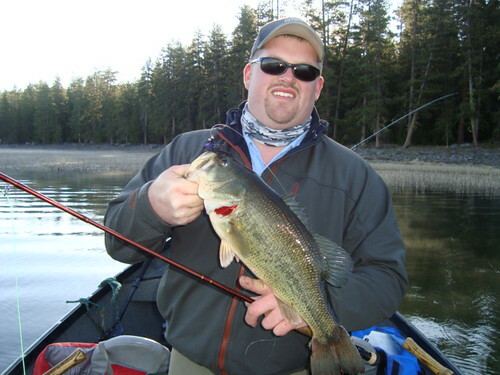 Barrett and Matt used floating lines with 15 feet of straight 20lbs flourocarbon tippet. Six, seven and eight weight rods work best for the wind resistant poppers and heavily weighted bass bugs you need to heave. This “leader” works for fishing poppers as well as super heavy bass creatures you need to crawl along the bottom. Don used a type 6 full sinking line and an 8 foot section of flouro. The full sinker a works as well and keeps the fly on the bottom with a straight pull longer. 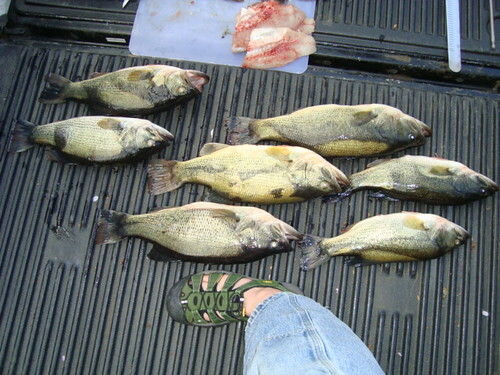 Good patterns for these fast growing “healthy” bass include; Hogans Creature, Hogan’s Bass Cracker, Rattle and Tube. 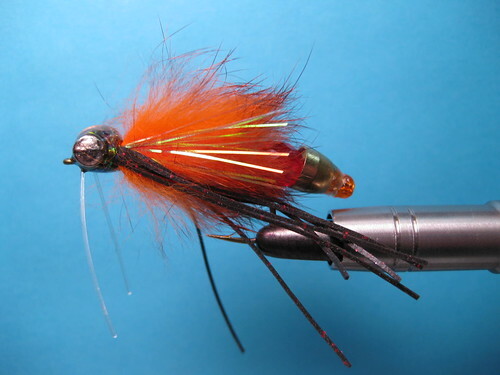 These are new patterns from Idylwilde flies and are ridiculously heavy. They are pictured in order below. This entry was posted in Oregon High Lakes. Bookmark the permalink.